Anna, you're ahead of the game. You have been cleverly altering these patterns for a perfect fit all along! Not being as skilled a seamstress as you are, I am thrilled to have this resource(because I do, naturally) so I can do the same. 15 minutes from nothing to skirt is amazing!! and I love that name "second-tier skirt." 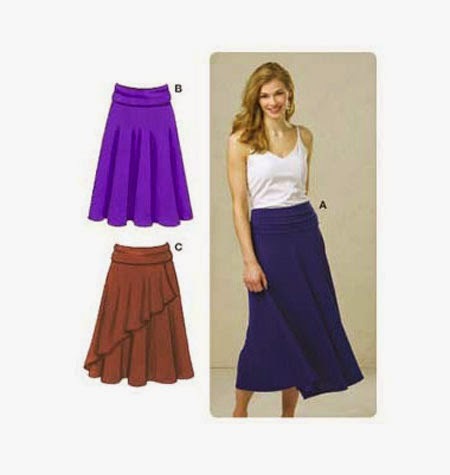 Useful way to classify clothes I think I call "old"
Thanks for the hint on a new skirt pattern to try! 15 minutes from sheet to skirt, that's impressive! I'm really looking forward to learning how to put sleeves in my knit dresses! Do you like the a-line dress? Can't make up my mind if it'll be adorable, or look like a paper bag on a middle aged body. Guess I'll have to sew one up to see. 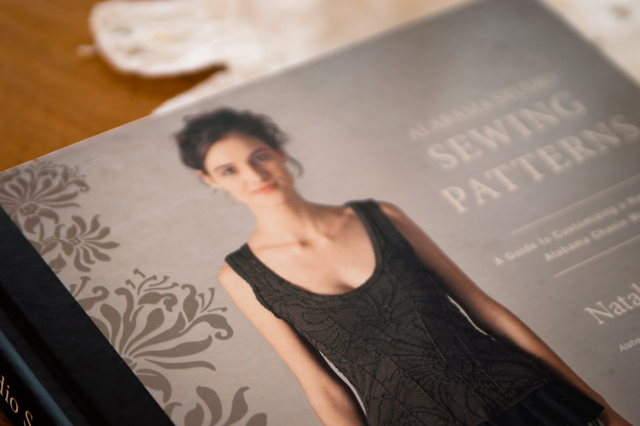 Have been poring through the book since it arrived last week - am loving the new patterns. But - the six gore dress has been at the top of my list to try first for a while, so I think I'm sticking to it. Love your 15 minute skirt - clever girl! I haven't indulged yet but of course it's at the forefront of my radar. I am especially interested in the alterations section, b/c I alter everything so extremely when I make a commercial pattern. I had to teach myself to grade patterns a couple of years ago. Lately I have been bucking the system entirely and draping and pinning fabric to create my own patterns. I am stunned at the good luck I've had so far, but it's early in the Seeking the Perfect Summer Tee Shirt Process. Just got the book, working on a top for me! Major trial and error to fit my chest unfortunately. I'm still hunting for little girl patterns. Those however are pretty easy to fit! 15 min?!?!! I just don't know how you can make a skirt that fast! I finally read my book yesterday! I'd pre-ordered it, but hadn't had time to read it, so I didn't tempt myself by even opening the pkg. Sadly, It's my least favorite and least inspiring of the four. If I didn't already love AC so much ~ I'd return the book. But since I *DO* adore Natalie and AC, I'll keep my set intact :-) but I'd sure recommend people consider borrowing it before purchasing if possible. This is also my least favorite of the books. I'm glad to have it as a reference, though. You're right about the fitting problems. One I never see addressed is the back of the corset. Every single model's corset is full of horizontal wrinkles across the small of the back. I've ironed mine out with some alterations, but it took some thought. Do you need a serGermany for this skirt? No serger required! You don't need to finish the seams.